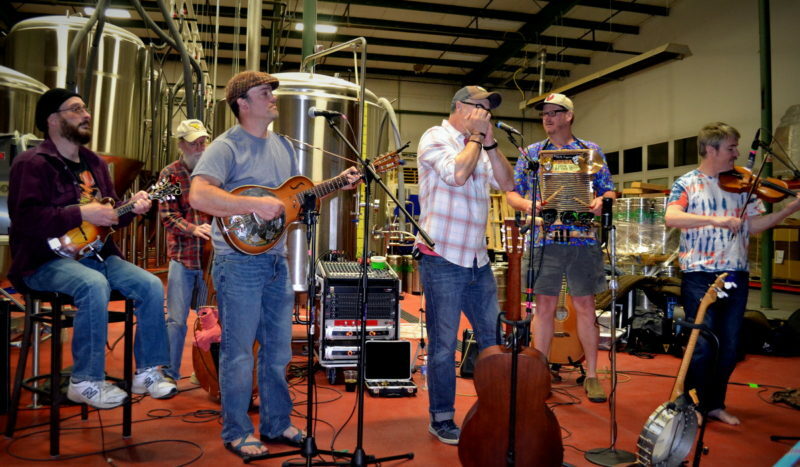 That High Country Revival plays Greenbrier Valley Brewing Co. during the brewery’s First Saturdays free concerts. The Greenbrier Valley Brewing Co. has designated a “Giving Tap” program in its tap room near Lewisburg, West Virginia, proceeds from which will be provided to 12 regional non-profits through 2018. According to Lisa Stansell, marketing manager for the brewery located off U.S. 219 in Maxwellton, one tap will be chosen each month, and 20 percent of the sales from that tap will be donated to a “paired” local non-profit agency. “Each month we’ll highlight a different non-profit and craft beer. Visitors can learn about our area non-profits and join us in giving back to the Greenbrier Valley by having a pint,” she said. The following organizations have been chosen for 2018, Stansell said. The Greenbrier Valley Brewing Company is open 4-9 p.m. Fridays, 2-9 p.m. Saturdays, and 2-5 p.m. Sundays during winter.